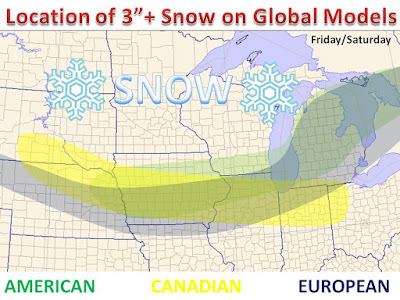 Either way, the storm will bring in northwest winds by Saturday and Sunday which will usher in much colder temperatures across the Midwest by the weekend and beyond. 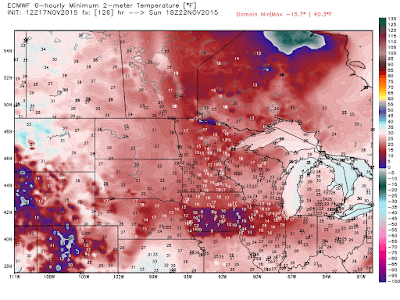 Low temperatures for Sunday morning are plotted below, off the ECMWF model. Notice the lows will be ~10 degrees cooler in areas with fresh snowfall, due to radiational cooling. 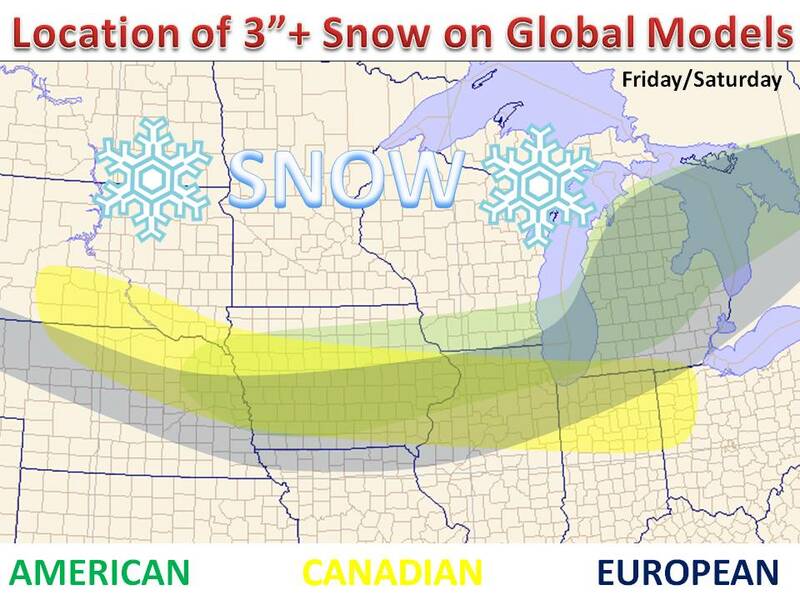 Keep it here to Midwest Weather for updates throughout the week.